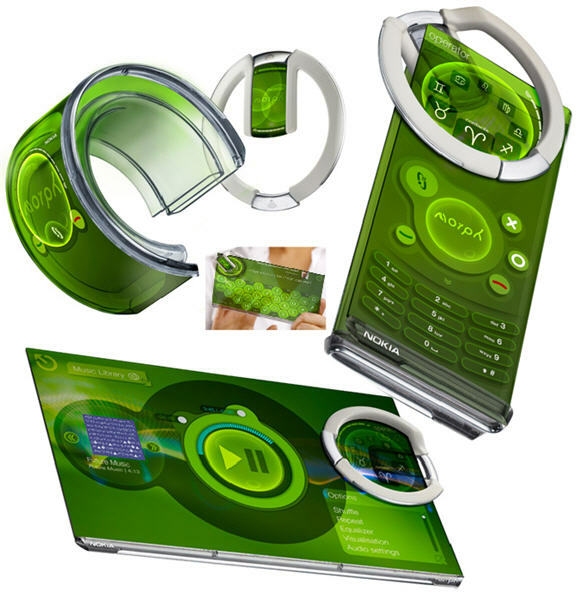 One of the leaders among manufacturers of mobile phone company Nokia introduced the concept of mobile phone of the future Nokia Morph, which was developed jointly with the University of Cambridge. The uniqueness of the concept lies in the fact that it involves the use of nanotechnology. But potential buyers must impress its broad functionality, and most importantly flexible body. The flexibility of Nokia Morph will help transform it into various forms, including bend, stretch and fold.